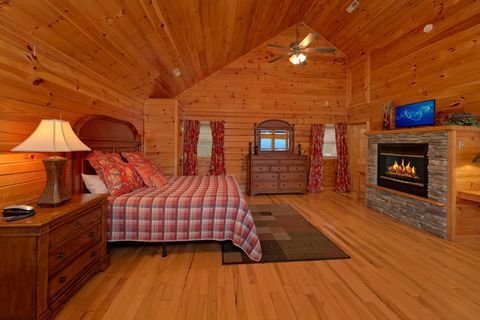 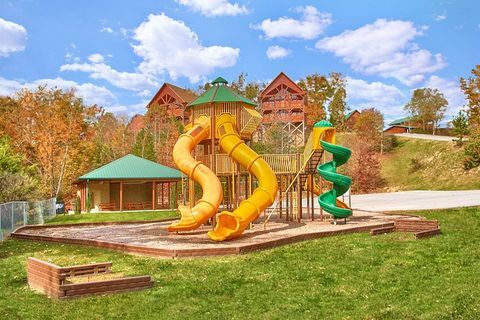 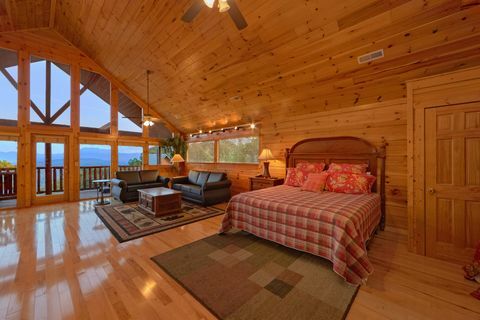 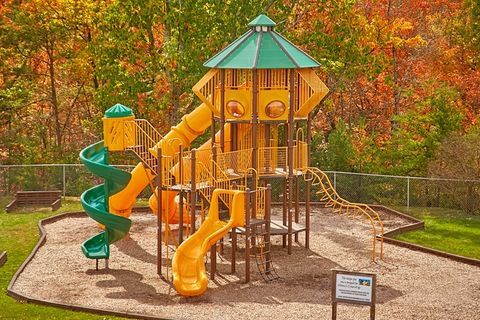 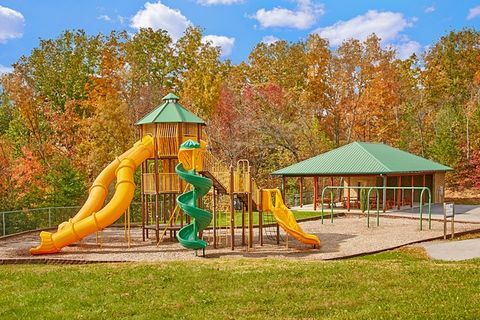 "Sugar and Spice," a luxury Starr Crest Resort Pigeon Forge cabin, provides guests with 3 spacious bedrooms, resort swimming pool access, comfortable in cabin amenities, and much more in this 5-Star rated cabin with a view! 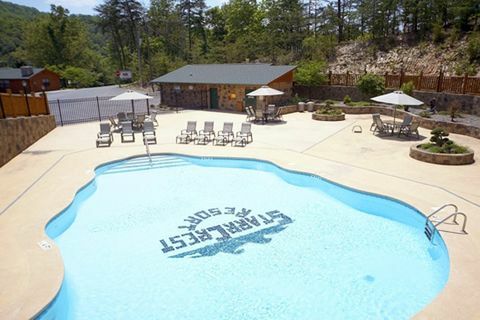 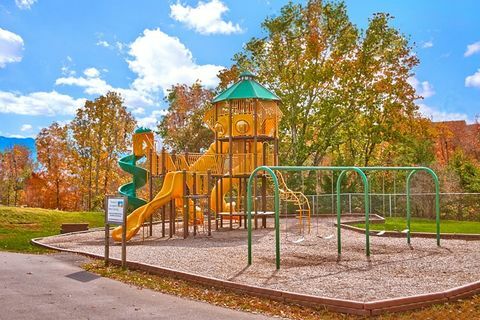 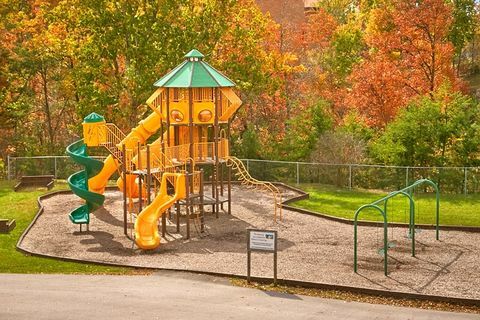 Starr Crest Resort Pigeon Forge is located on the backside of Dollywood Theme Park, placing guests just minutes from dozens of Pigeon Forge attractions, restaurants, shows and more up and down the Parkway. 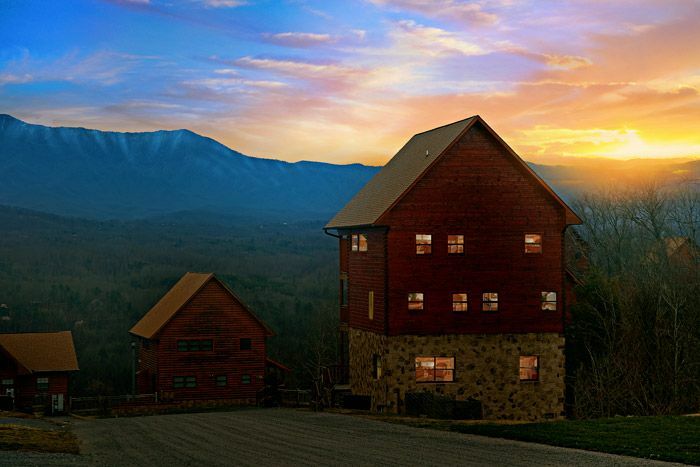 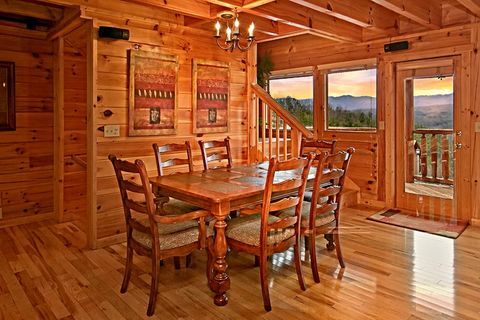 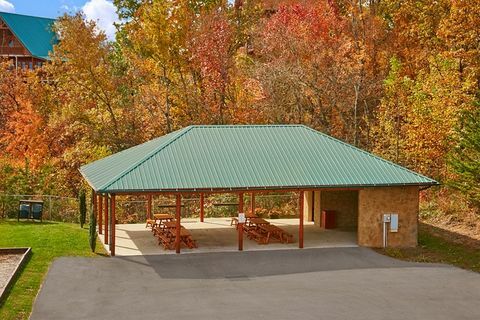 Aside from its convenient location, your Pigeon Forge cabin rental offers vacationers all the cabin features for an extraordinary Smoky Mountain vacation. 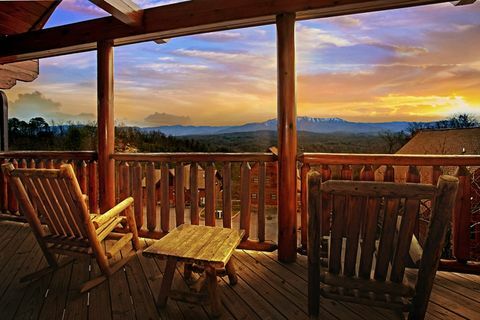 Watch beautiful Smoky Mountain sunsets from either of 3 porches, which all house rockers for relaxation. 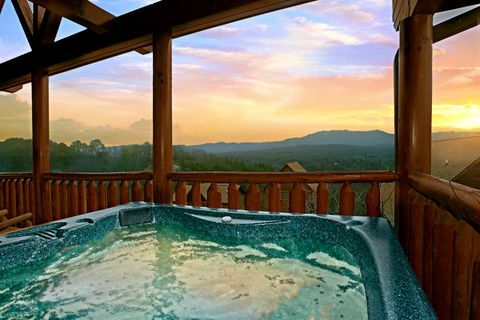 The third-floor deck houses the year-round, family sized hot tub and offers superb views of the surrounding landscape. 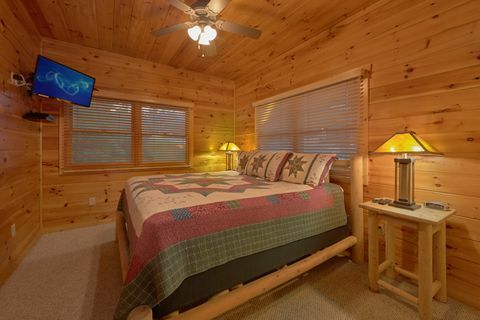 Inside, your luxury Starr Crest Resort cabin boasts three king bedrooms with king-sized beds and televisions. 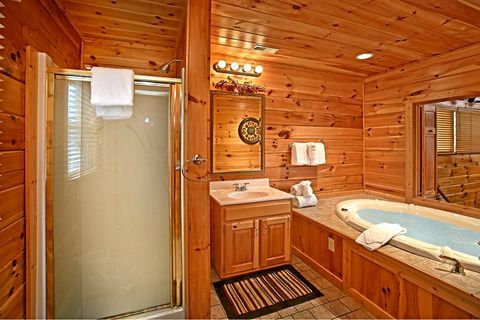 The expansive 3rd level master suite offers an additional fireplace, custom Jacuzzi, private balcony with hot tub, elegant seating area, and full bath. 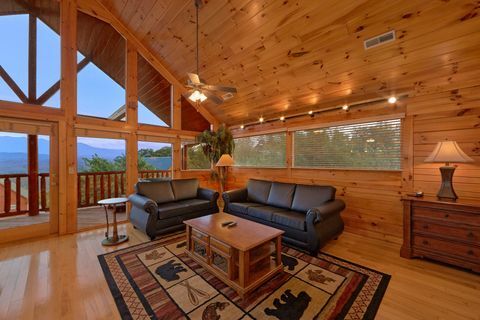 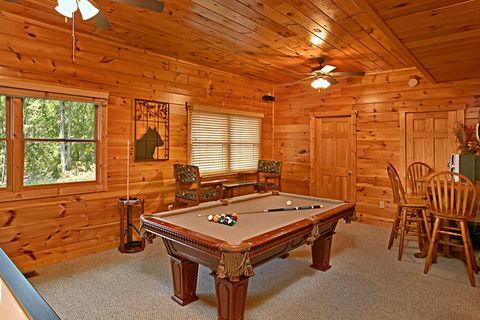 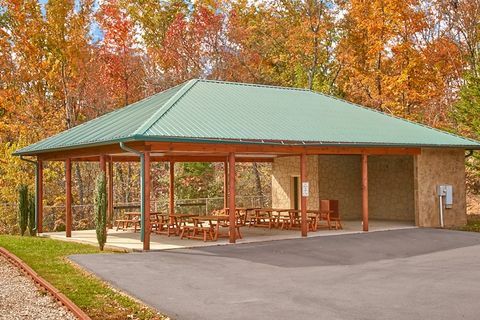 This Pigeon Forge cabin rental boasts plenty of room for entertainment. 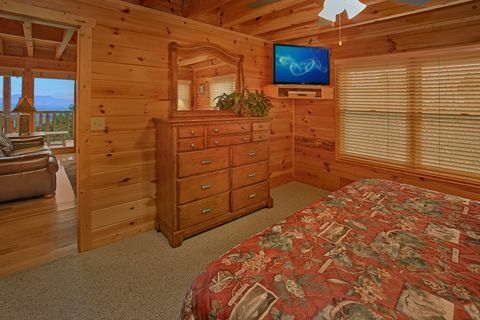 There are two living areas with televisions, making this cabin great for family reunions or small groups. 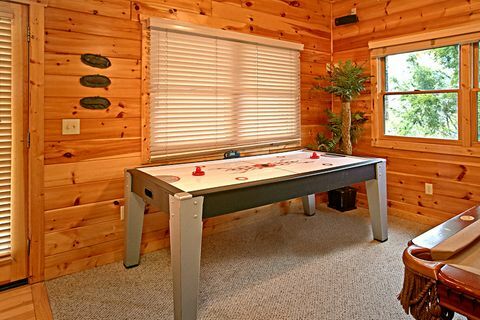 Downstairs, the cabin's game room, a fun filled indoors experience with pool table, air hockey table, video arcade game, and more! 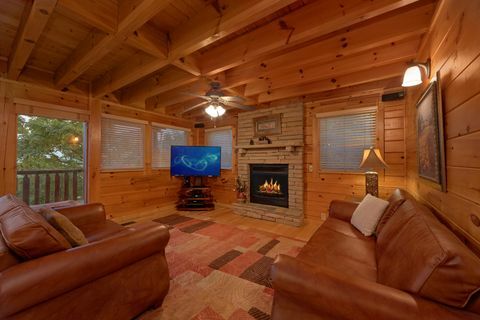 On those chilly mountain nights, gather the whole group around the living room's handsome electric fireplace for stories and a movie. 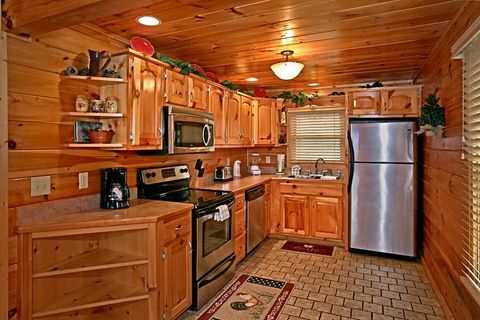 Save on family meals with your Pigeon Forge cabin's large kitchen with plenty of counter space, charcoal grill, and dining area. 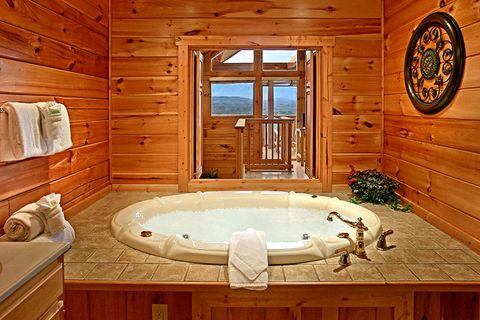 Additionally, your cabin's washer - dryer save room for the trip and vacation dollars for more vacation fun in the Tennessee Smoky Mountains. 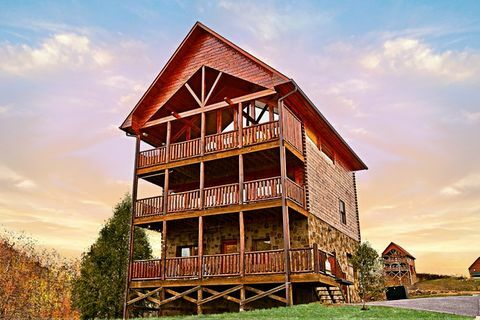 Book your Starr Crest Resort cabin or another Pigeon Forge cabin rental online with us at Cabins USA for an immediate Online Cabin Rental Discount! 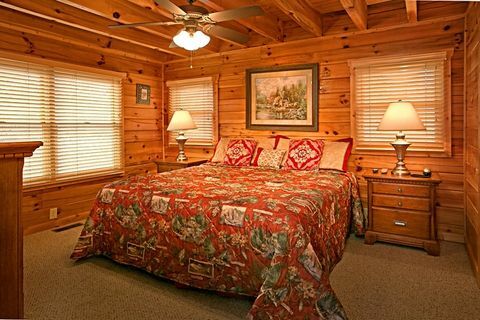 Bring home some lifelong memorable moments of your cabin vacation in the Tennessee Smoky Mountains!